This innovative volume gathers some of the world’s best scholars to analyse the world’s collective international efforts to address globalised threats through global security governance. 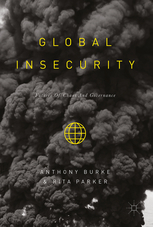 Addressing global and planetary forms of insecurity that include nuclear weapons, conventional arms, gender violence, climate change, disease, bio weapons, cyber-conflict, children in conflict, crimes against humanity, and refugees, this timely book critiques how they are addressed by global institutions and regimes, and advocates important conceptual, institutional, and policy reforms. This is an invaluable resource for students, scholars and policymakers in international health, security and development.